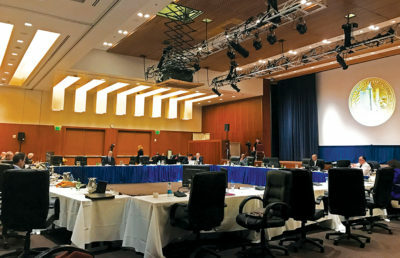 The UC Board of Regents convened in UCLA for the beginning of a regular three-day meeting, which will include a decision on a proposed tuition increase for undergraduate nonresident students — a vote originally slated for the January meeting at which it was postponed. The meeting began Tuesday with the Investments Subcommittee, which discussed the range of assets within the UC endowment, and will continue through Wednesday and Thursday. Other items to be discussed in the meeting include a presentation on the rankings of UC-system graduate programs and methods to advocate for increased state funding, along with the proposed tuition hike vote. During the Investments Subcommittee meeting, Chief Investment Officer Jagdeep Singh Bachher and members of his office gave an in-depth presentation on the General Endowment Pool, during which the subcommittee planned its public and private investment funding strategies for the university’s endowment funds. The bulk of the regents’ discussions will happen Wednesday in meetings of the other committees, such as the Finance and Capital Strategies Committee — where the decision on the proposed tuition increase will be made. If approved, the proposal for increased nonresident tuition will raise the cost of education by $978 starting in the 2018-19 academic year. 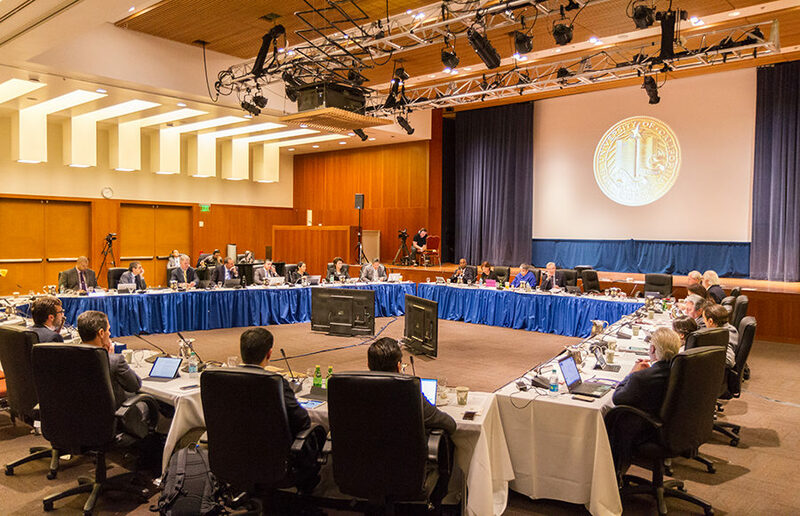 A vote on the proposed tuition increase of $348 for in-state students will take place in May at the UC Regents’ meeting at UC San Francisco. The tuition hike was first introduced during a Board of Regents meeting in September 2017. Students protested the proposed tuition hikes before the regents’ meeting in January, when the vote was originally scheduled, and continued objecting the hike after the vote was pushed to later meetings. 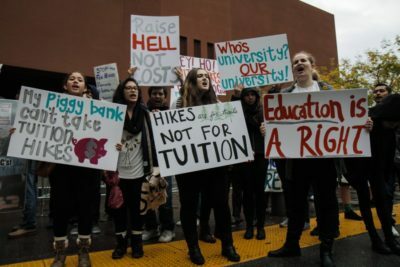 The student-led nonprofit organization Rise California began circulating a petition against the tuition hike mid-January, demanding that the regents abstain from the hike and calling for increased state funding. 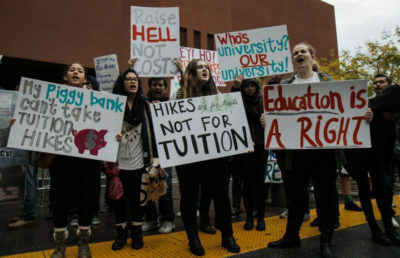 “The proposed tuition hike comes as tens of thousands of UC students face hunger and homelessness, and the California legislature is spending less per student on higher education than before the Great Recession,” the petition said. The impact of reduced state funding and avoidance of tuition increases would result in less access to resources for students, according to a Feb. 2 campuswide email from Chancellor Carol Christ after the regents’ decision to delay the tuition hikes vote. “We look forward to the time — just a few short years away — when we will have a balanced budget and the ability to expand our investments in areas that will benefit the campus and public we serve,” Christ said in her email.